Powered only by the Sun, Odysseus is an ultra-long endurance, high-altitude platform built for groundbreaking persistence. Credit: PRNewsfoto/ Aurora Flight Sciences. Boeing subsidiary Aurora Flight Sciences has unveiled its Odysseus solarpowered autonomous aircraft. 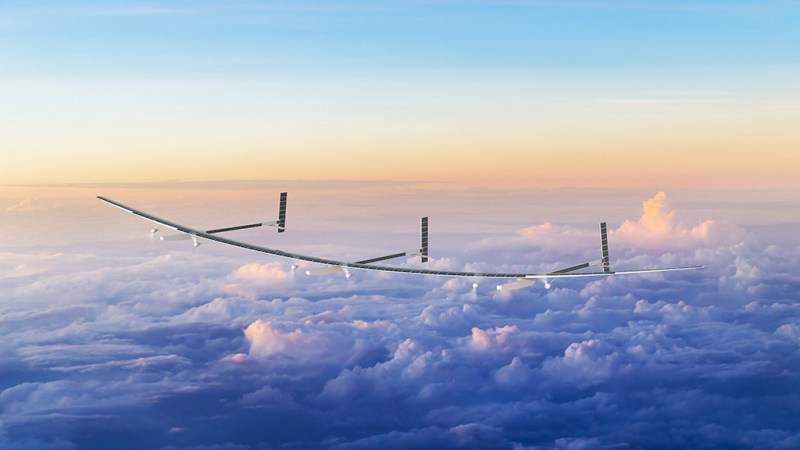 The ultra-long endurance, high-altitude aircraft is designed to autonomously stay afloat indefinitely. Built with lightweight materials, Odysseus uses advanced solar cells to obtain energy from the Sun to conduct its operations. Development of Odysseus is inspired by the Daedalus Project, which was organised and led by Aurora president and CEO John Langford and other Massachusetts Institute of Technology (MIT) colleagues in 1988. The project involved a 72-mile human-powered flight between the Greek islands of Crete and Santorini. Langford said: “Odysseus was an idea born out of Daedalus that is now a real solution to advancing the important research around climate change and other atmospheric chemistry problems. Odysseus aims to facilitate communication and collect data over a specific location, as well as various other missions such as intelligence gathering. According to the company, the aircraft can be deployed at a fraction of the cost of a satellite and remain airborne for longer when compared with a conventional unmanned aerial vehicle (UAV). Odysseus can also receive payload and hardware options. It can be easily customised, re-tasked, and relocated according to the mission requirements. Scheduled to start its first flight next year, Odysseus can benefit the climate and weather researchers by providing measurements of vegetation, ice coverage and flow rates, as well as ground moisture on Earth. The aircraft can also help provide precise and affordable weather and storm monitoring during peak seasons and severe weather events.